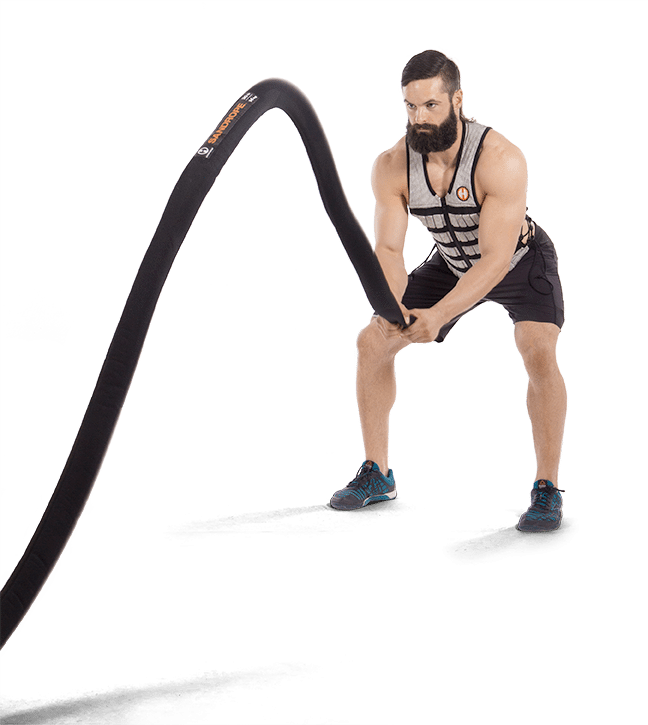 Battle rope training has become increasingly popular as functional fitness equipment and functional fitness workouts have grown. Taking a basic heavy rope and creating programming around it is a prime example of the entrepreneurial spirit. No new invention was involved but taking such a traditional tool and turning it into a training rope exercise program for high intensity interval workouts was an outstanding innovation. It is rare that innovation creates a business without being founded in invention. An invention is a new idea or breakthrough that is unique and has value: often being something that can be patented or protected as a trade secret. In functional fitness, look at the BOSU® as a prime example. The invention was the simple, but creative concept of cutting an ordinary stability ball in half, securing it to a flat platform so that it would still hold air and form a dome. Innovation, and the true perspiration in building a business, resulted by building the training principles and programming around the benefits of an unstable platform. That brings us back to the incredibly effective battle rope for personal training and small group exercise. What do all personal trainers face every day as their greatest need? They need to make money to keep the lights on. That means attracting and retaining clients for fitness with quality sessions, that are effective and have variety. So traditional exercise ropes are a tool that can potentially help. They are very effective. The variety of battle rope exercises is limited by the need to have them attached, but they are very different than any other piece of fitness equipment in the studio. So where do battle ropes completely fail the fitness professional? Where is the opportunity for innovation? In one word: “space.” In two words: “space and an anchor point.” Why is this a failure? How does it reduce the value to the personal trainer? Space costs money. After payroll costs, space is the number one fixed expense for a personal training studio or for the health club where that trainer works. Working with more clients in less space is the number one way to increase profit for personal or group exercise after making sure you efficiently use your time as a trainer (payroll). Take a look at this preparation for a small group session that includes battling ropes. Space. We cannot even see the ends of the training ropes in the foreground and it looks like only two people will be able to work with them at one time. One is anchored by a post and it looks like there is going to be a human anchor for the other. It is limiting the number of people who are paying clients and possibly even boring one who will be a human post. Hyperwear has seen and identified this as a need for our valued customers: personal trainers. Whether you work in a gym, a small fitness studio, or in an outdoor bootcamp, we wanted to give you the ability to make more by using less space and having a more effective, versatile, safe and fun battle rope. We call our innovation the SandRope™ and it is a beauty. Top quality materials and craftsmanship have gone into building a 10 foot long, 30 lb neoprene tube of shifting sand. Use it attached and you are only taking up 10 feet of space for your rope exercises, but it will excite you with the wide variety of individual and partner exercises that are possible in tight spaces without having to be anchored. How do I use a SandRope™ for heavy rope training?